I love this necklace from Etsy seller MoonGardenDesigns. I get the joke - do you? 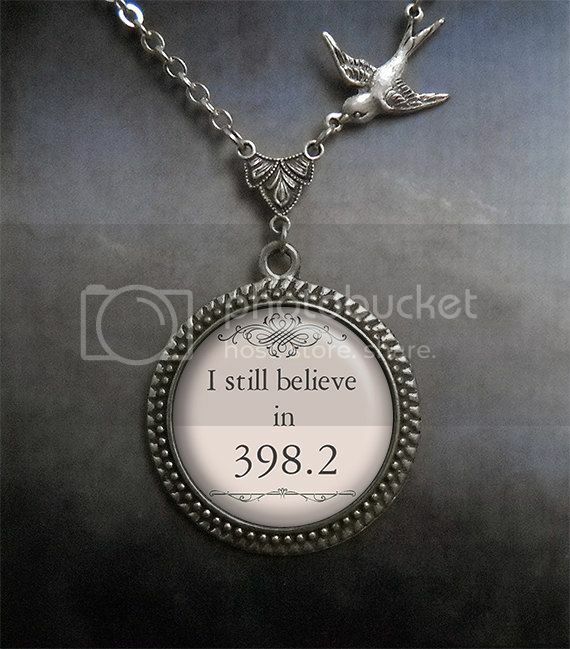 I had to Google the 398.2. now that I get it, I love that necklace! Very cute, love the meaning. And I too still believe in 398.2, even at the ripe old age of 46yrs.